Wheat & Weeds: It's Ryan! We're nothing short of exhilarated in this corner of the blogosphere. Romney went for the bold ideas man and not a "safe" choice. Now we've got an election on our hands! Two observations. When Mitt introduced Ryan, he emphasized his integrity and honesty. I get the feeling that was Romney's main consideration. Ryan wasted no time with fluff. His speech introducing himself went straight at 'em, as Jack Aubrey likes to say. He's not a great speech-deliverer, frankly -- he's much better and looser in Q&A-- but there's something endearingly sincere about him at all times. 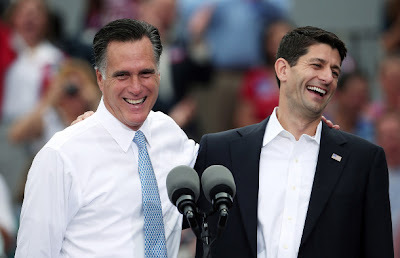 My first policy recommendation is that Romney decline his invitation to the Al Smith dinner and send Catholic Ryan in his stead.